If financial problems are weighing you down and creditors are closing in, bankruptcy can protect your assets and give you a fresh start. And while there is sadness and stress in ending a marriage, a divorce likewise represents the start of a new phase of your life. 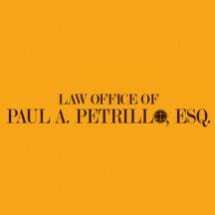 The Law Office of Paul Petrillo helps clients solve legal and financial problems and look toward the future. Since 2002, I have practiced law in Salem, New Hampshire, and surrounding communities of Rockingham County, Hillsborough County and the Merrimack Valley. I am an attorney representing individuals and couples in consumer bankruptcy (Chapter 7 and Chapter 13) as well as divorce, custody and family law. I can offer focused knowledge in bankruptcy law and family law, as well as personalized attention to my clients. You will always work directly with me, rather than being shuffled around to different lawyers or a paralegal. I personally handle your bankruptcy petition or your family law matters. In fact, I often help couples shed debts through bankruptcy prior to divorce, or help individuals get back on track through bankruptcy in the aftermath of divorce. No matter how complex, how frustrating or how bleak your situation seems, there is help and there is a solution. Contact my Salem, New Hampshire, law firm, the Law Office of Paul Petrillo, for a free, confidential consultation.